Waag Society. Nederlands institution, aiding digital art . Site ( in Dutch, but also in English). > The Matrix. (1999 for the first episode) Film trilogy by Larry and Andy Wachowsky. Wikipedia. A philosophic machine, or a philosophic mix... as well as film. - This work is digital both by its use of a many special effects and by its subject, virtual reality. The comments about this film seem to ignore (or underestimate) the fact that it was a conscious composition of many philosophical conceps, opening endless debates about its meaning... these debates contributing to the marketing or the product. Here, the full chapter (40 pages) of Jenkins, 2007, presenting the film as one of the first large scale transmedia project, is particularly instructive. < Matrix, machine philosophique. by Badiou et al. Ellipses 2003. < The Matrix and philosophy. by Irwin William : Open Court, 2002. 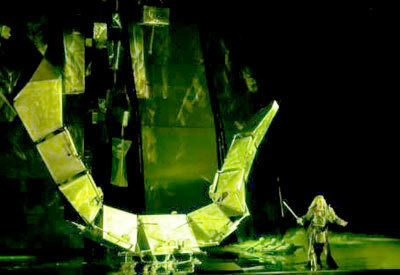 Fafner under dragon form in Wagner's Ring. Here in a show in Valencia, reported by Splash Magazines. Wada Ei. Kinetic and sounds. NTTIC page. < Matte painting by Daniel Wade an Paul Hellard (eds.) (collection "d'Artiste"). Mylor (Australia), Ballistic , 2d édition 2005. With interventions by Dylan Cole, Alp Altiner and Chris Stoski. Waelder Paul. Teaches digital culture at 'Universita Oberta de Catalunya (UOC). Journalist. Wagenaar Akke. A web artist, documentarist. > The Hiroshima Project (1995). [Greene] p. 46. < Fotografi som digital bild. Narration och navitation/ fyra nordiska konstwerk. by Karin Wagner. University of Göteborg. 2003. - Quoted by [Balpe], [Popper 2] p. 161. < Le voyage artistique à Bayreuth. by Albert Lavignac Delagrave, Paris, circa 1895. (Has been republished as paperback, see Amazon for exemple). - His theoretical essay "The Art-Work of the future" has been translated in English and made available on line by Ashton Elps on belgacom.net. Dance, music and poetry form the basic artistic trilogy, unite in the total work of art (Gesamtkunstwerd), where painting and architecture find their true role in providing the environment. But let's notice that Wagner, though a user of machines, for instance for the Fafner dragon, does not base this study on technology, but on Man's nature. - Bruno Lussato dedicated website (alas no longer in line. Lussato died in 2009). < Voyage au cœur du Ring, with Marina Niggli, Fayard 2005. < Wagner et l'esprit romantique, by André Coeuroy, Paris. Gallimard 1965. Wagon Gwenola. Maitre de conférence at Paris 8 University. Wagon & Degoutin: Dance Party in Irak. 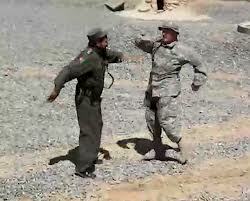 > Dance Party in Irak (2012-2013). - Globodrome (2012). A film and a book survey about World's representations starting from a virtual globe. Il follows the same itinerary as Phileas Fogg and Passepartout in Around the World in 80 days. > Cyborgs dans la brume (2011). Work by Stéphane Degoutin and Gwenola Wagon. > Globodrome (2011). Work, . A world tour with GoogleEarth. Blogspot. < Tous les râteliers! Ed Rhubarbe 2009. Notice :http://www.editions-rhubarbe.com/wahl.htm. - Interview in AH No 81. > Apartement (2001), with Martin Wattenbert. Quoted by [Grau] p. 260-262. > Gramophone (1989) [Popper 2] 116-118. - Quoted by [Couchot 2003]. > Astronauts (2000 c.) [Willoughby] p. 268. Wall Jeff. Wikipedia. See his Artsy's page. His work is not presently deeply digital, but he uses digital techniques to enhance the artificial aspect of his pictures. > A Sudden Gust of Wind (1993). "paper sheets take off under wind pressure" [Couchot 2003] p. 84. Waller Angie. . Multimedia, datamining. Wallich. Musician and video maker Web site (Art(i)too). < Questions à Jo Walsth. An interview with Karen O'Rourke. 14 pages in [Lartigaud]. Waltman Olivier Gallery. Paris and Miami. Wands Bruce. Painter, 2D Images. Author. < Art of the Digital Age 2006. French Translation, L'art à l'ère du numérique. Thames and Hudson 2007. > Noah Wardrip-Fruin (2000 c.) with Adam Chapman, Brion Moss and Diane Whitehurs. > Heartline (1976) Printer drawing. [Wands]. Ward Adrian. Wikipedia . Musician, generative art. Wardrip-Fruin : The general scheme of "Expressive processing". < The New Media Reader. Ed. by Noah Wardrip-Fruin and Nick Montfort, with introductions by Janet H. Murray and Lev Manovich. MIT Press, Cambridge Mass and London, 2003. An enormous collection of texts, from Borges to a collective by Berners-Lee and al. Warhol Andy. "The reason I'm painting this way ies that I want to be a machine, and I feel that whatever I do ad do machine-like is what I want to do" (1963, quoted by [Glimcher]. > Portrait of Deborah Harry (1985) on an Amiga Computer. Youtube. This was discovere by Cory Arcangel in 2011. See (as long as it will be available) an article in Le Monde.fr. 4/25/2014. A digital painting by Warhol. > Hortus musicus (2001). [Murray]. > Emerging man. (before 1977). A picture in the Recode project. > Gyrating Forms (before 1977). A picture in the Recode project. Warusfel Olivier. Room Acoustics Research manager, Ircam. > Untitled #339 (1996). [Paul]. > Coconatch (2010). A robot born of "a crossing between a bean and a chicken, it connects directly on USB and squawks on the social networks as soon as you tickle it". Article by Matthieu Destephe in Planète Robots, Jan-Feb. 2012. > Don't Trip (2010 c.) Multimedia installation. A note with video in Random Magazine. Wathieu Marc, professor, Digital ARt, ERG (École de Recherche graphique) in Brussels. See Multimedialab. Watson (mahine IBM). See specific note. Watson Petra. One of the artists who cooperated in the project Four Wheel Drift with Julie Andreyev . Watson Theo. "Digital director". Interactive installations. Wikipedia. Wattenberg Martin. Generation of music starting from images. - CODeDOC Show (2002, Whitney Artport). [Greene] p. 157, Connection Study. > The shape of song. (2000 c.). > Stock Space (2008). Abstract generated pictures, with 3D effects. 4 pages with pictures in [Bohnacker]. Commented on with a picture by [ Debatty et al. 2011]. > Neon Organic (2005) A large picture in [Lieser]. > Génerator X (Norway) .Animated images and sound. - [Aziosmanoff]. Combines the performance of a dancer with computer processing, producing for example music. - See Internet from the transmedia standpoint. Web Net Museum. See Fred Forest. Webb James . Multimedia. One page with images in [Dermineur]. Weber Pascale. Forms the Hantu duo of artists with Jean Delsaux. Lecturer, Paris 1 University. Plastic arts, performance, musicology, aesthetics, art sciences. - Nymphaea Alba Ballet (2013). See our post about the Hantu communication at Laval Virtual 2014. - A performance about art. (4/18/2010) Not digital, but showing a depth in thinking not frequently met in digital circles. - A page, with video, on Vidéoformes. - Immemorial Rew' An installation by Pascale Weber an article by Jean Delsaux, in the May 2012 issue of Archée, See also French version.
. Immémorial (1996 - 2011) An immersive memory mechanism by Pascale Weber Avanca Cinema (PDF) (Porto). - Her page on sound spatialization. - Her page about sound-video sequences typology. - A pictures gallery about spatial visualization. Web Net Museum. "A dynamic museum with international vocation, of strictly private nature. It is intended to replace more traditional institutions to introduce and support artists, works, experiments and events, in connection with the new digital culture.". Artist founder: Fred Forest . Curator Louis-José Lestocart. Webster Christine. Sound artist and freelance journalist. She aims to electro-acoustic composition in 3D (topological music), using the virtual spaces of Second Life and the video game motor Unity3D as composition > Rue de Beauce (2010). Webster Mark. President (2012) of the FAB association. > Monument (1967). Projet intermedia by Ture Sjölander and Lars Wreck, witt the cooperation of Bengt Modin, video engineer. 4 pages in [Youngblood]. Weibel Peter. Multimedia. See fractal. > Erl King (1982 c.). Interactive installation. Acquired by the Guggenheim Museum, and transformed into an all-digital work. 4 pages in [Cameron]. > Eyecon (2000C). Software to monitor interplay of proximity and touch between actors or dancers. < Les chemins du virtuel. Simulation informatique et création industrielle. by Jean-Louis Weissberg, aided by Martine Moinot. Cahiers du CCI, Centre Georges Pompidou, Special issue, 1989. < Guide de l'informatisation. Informatique et société. by Jean-Pierre Durand, Pierre Lévy and Jean-Louis Weissberg. Belin 1987. Weisshaar Kram. Design cabinet, founded in 2002. Offices in Stockholm and Munich. > Rubber Lamp (2002). Interactive installations. 6 pages in [Cameron]. < Netzkunst. ihre systematizierung und auslegung anhand von einzelbeispielen. by Matthias Weiss. VDG 2009. Weivei Ai. Contemporary artist coming to digital works, with smartphone photos and a project of art web site annonced on the BBC in june 2015. > Moon (2012 c.) by Ai Weiwei and Olafur Eliasson. > Beijing National Stadium (2008). Weizenbaum Joseph. Wikipedia. A scientist more than artist, but nevertheless his Eliza program remains a landmark in text generation. > Eliza (1960's). This simulation of a psychologist/physician marks a major forward step in artificial intelligence, and may be considere one of the first automatic text generators (though Ducrocq's Calliope is anterior). Deep commentaries in [Wardrip-Fruin]. < Computer power and human reason. par Joseph Weizenbaum. Freeman 1976. Welger-Barboza Corinne . She leads L'observatoire critique. < Le Patrimoine à l'ère du document numérique. Du musée virtuel au musée médiathèque. L'Harmattan, 2001. Welker Cécile. Université Paris III. Ensad Lab. - Secretary of Paris ACM Siggraph. Welsh Richard. Transmedia, animation on all platforms. Wendling Wilfried. Music with pluridisciplinary experiences. > Hamlet (2017). See our post. Wendt Marcus. Artist and developer. Studio Field, and cooperation with Matt Pykes. Wenger Eric. See our biographic notice Programmer, musician and designer. His algorithms and programs are at the heart of many digital art works by major artists like Miguel Chevalier or Pia Myrvold, for instance. His website is worth the trip. > ArtMatic et ArtMatic-Voyager. Generative creative tools. 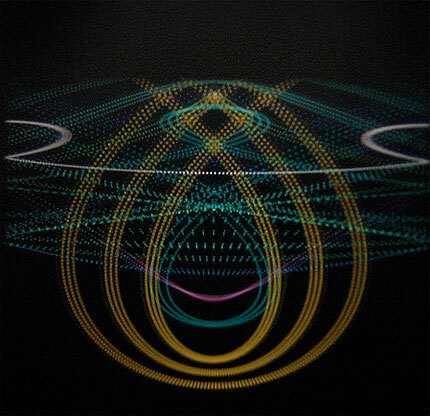 Wenger Rephael "My research is in computer graphics and visualization, particularly the use of geometric algorithms to visualize geometric data. Currently, I am studying the visualization of three and four dimensional data by reconstructing objects from that data. See some of my publications. Weschler Robert. Founder of Palindrome Dance Company. and emerging technologies to reflect upon humanity's long-standing quest for an understanding of the nature, origins, and unity of life." Westenberg Peter. A visual artist and film- and videomaker. 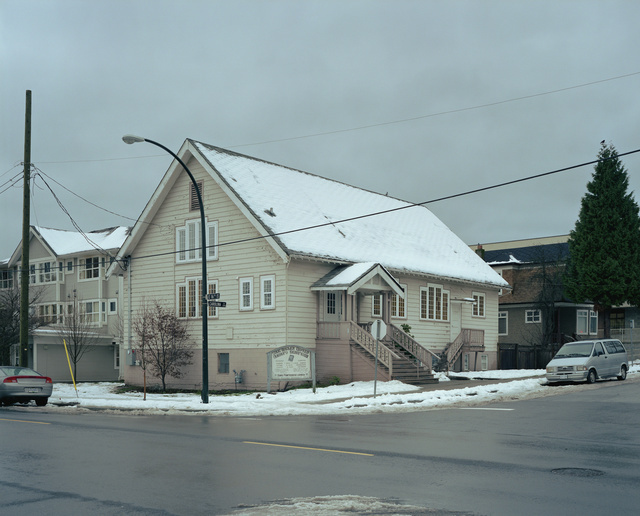 His projects evolve from an interest in social cartography, urban anomalies and the relationships between locative identity and cultural geography. Whidden Tim. Member of the tandem MTAA. Whitaker Carly. Interaction. One page with images in [Dermineur]. < The body and the screen. Theories of Internet spectatorship. MIT Press 2006. Studies a lot of websites. The conclusions are not very clear, if not the last paragraph title "Conclusion : A Technology of Waste". White Norman. Writing and behavior. > The Helpless Robot (1987). 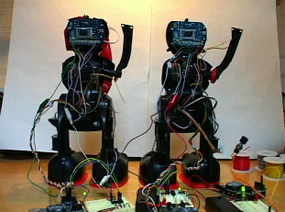 Interactive installation with robots. [Moulon] p. 28-29. < Metacreation. Art and artificial life. MIT 2004. > Prune Flat (1965). Theater. 2 pages in [Youngblood] with photo. "Performers' actions were synchronized with their film versions". > Future World (1976) by Gary Demos, John Whitney Jr. an a team. According to [Masson], "first feature film appearance of a 3D computer graphics, a 3D polygonal representation of a hand and of an actor Peter Fondas's head... the film alo featured the first ever-digital composite, a sequence of samurai warriors materializing in a chamber room". - First use of analog computers. - Demonstration , and another demonstration. Whitney John Sr. Algorist. Cinema. - A biography in [Masson] pp. 386 -387. - Notes in Nick Lambert, - [Lioret ] p. 53 , [Processing]. > Hard Woman (1985). A copy in Ina funds. > Arabesque (1975). , early computer graphics. > Matrix III (1973 c.) Film. Cited by [Baudouin]. > Permutations (1966). The first digital short film, says [Masson]. < Cybernétique et société. Original 1954. French edition, 10/18, 1962. < Men Machines and the World About. 1954. Full text with an introduction in [Wardrip-Fruin 2003]. - In 2012, in Limoges (France). Website. < Co-Puppet : collaborative interaction in virtual puppetry. by Paolo Bottoni et al. 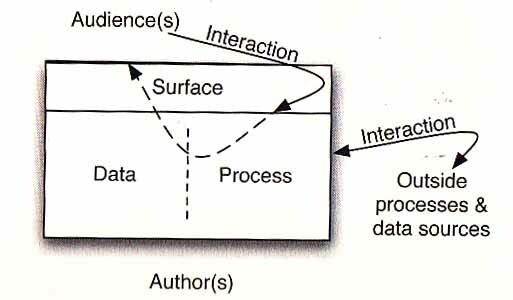 Communication in [Adams] c. 2005. < Experiments in digital puppetry, with WII and Quartz Composer. par Ian Grant . Communication in [Adams] c. 2005. Wikipedia. A small work of art: La triste histoire du petit Wikipedia. Wilhelm Yvonne. Relational, Web, see Knowbotic Research. Wild Shores. Artists'collective of musicians-plasticians formed in the early 90' in Limoges (France) by Evelyne Hebey, Fred Nouveau, and Marc Roques. Their installations, performances, or video films triptych, are created on a musical base and audio visual pluridisciplinary process. Wilkinson Jamie. Developer. Web art. Willeme François. Invents "photosculpture" in 1859-60, somehow annoucing 3D scanning and printing. Wikipedia. < Vidéo et société virtuelle , by Alfred Willener, Guy Milliard and Alex Ganty. Editions Tema Communication, 1972. > Tokyogate III (2000). [Paul]. < Le cinéma graphique. Une histoire des dessins animés: des jouets d'optique au cinéma numérique. Paris. Editions Textuel 2009. Wilson Mark. During the nineteen seventies, Mark Wilson actively exhibited paintings and drawings in New York. His work was deeply involved with geometric imagery that had a distinctly technological flavor. 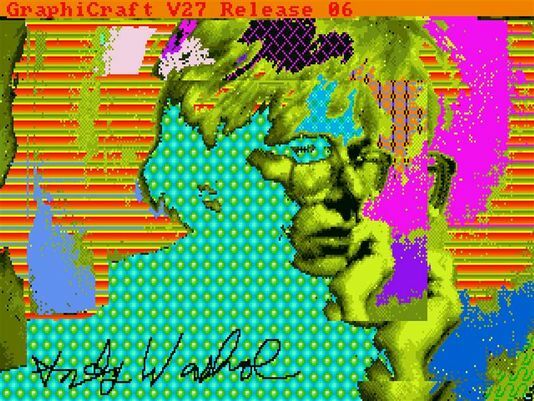 In 1980, Wilson purchased a microcomputer and began to learn programming, with the goal of creating artworks. This work has continued, and his computer generated works have been widely exhibited, both in the U.S. and in - Works in the Victoria & Albert Museum. > Skew S10 (1983). Quoted with several pictures by [Lieser] with pictures. > Monsters of grace (1998). by Robert ilson (director-designer) and Philip Glass (composer). Theater and virtual reality Wikipedia. "One of the most publicized digital performances of all time" says ([Dixon 2007], with 3 pages of comments. Quoted by [Picon-Vallin]. 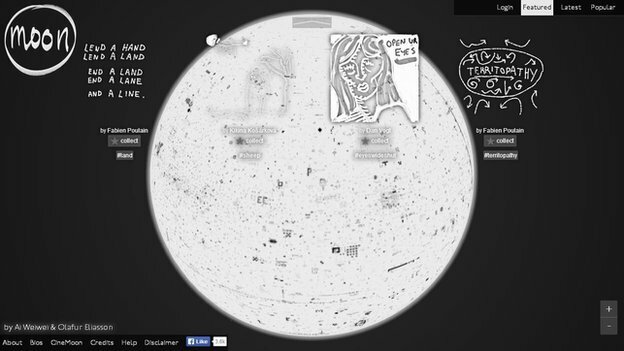 < Artificial Intelligent Research as Art. a chapter in Mechanical bodies, computational minds, edited by Stefano Franchi and Güven Güzeldere. MIT Press 2005. Rather philosophical, but shows some experiments. by Stephen Wilson MIT Press/Leonardo Books 2002. Windows 93 . A mock-up Windows website. Created by two French artists. Winkel Dietrich Nikolaus. Wikipedia. Automatic music composer. > Componium (1826). Quoted by Assayag (Asti 2001 proceedings). > In the Line of Sight (2009). with Daniel Sauter. [Moulon] p.86-87. < Oeuvre de "Perl Poésie" (2000). Presented by Bootz. > Hamster Symbiotic Exchange of Hoarded Energy (1999), by Uli Winters and Chrisoph Ebener, in collaboration with Frank Fietzek. Cited with picture by [Reichle 2009]. Wiscombe Tom. Creator of the Emergence cabinet. Page web. > Dragonfly (2007). Five pages of description and photos in [Iwamoto]. > Instant Places (2002) [Greene] p. 131. Witbrock Michael. Wikipedia. Artist and scientist (Infomedia department at Carnegie Mellon). > Blue Company (2001) 2001-2002. An email novel. > Guest (2009). Video installation. Woeishi Lean. Multimedia. A member of Fishing for Compliments. > Upper Austria Interactive (2011). Permanent installation, documentation system. > Siberian Dream (1995). by Eva Wohlgemuth and Kathy Rae Huffman. [Greene]. > Untitled (before 1976). See an image of this and other works, and reconstituted code in the Recode project. < Illustrative visualization and interaction with complex data. Koblenz, July 2008. Woodham Derrick. Sculpture, digital art. < Calcul de formes par ordinateur. by John Woodmark. Masson 1988. Woolford Kirk. Dance. Dance.net page. > Contours (1999-2000) with Susan Kozel and Ruth Gibson. Vimeo page. Short description in in Interagir avec les technologies numériques, Nouvelles de Danse. Condredanse, Brussels 2004. > World wide web/million man march (www/mmm) (2000 c.) commented by [Murray] p. 210-214. Deals with racial identity issues. Workspace Unlimited. Group founded by Thomas Soetens and Kora Van den Bulcke in 2001. WorldViz LLC. Immersive solution, readymade. Worms Anne-Cécile. Founder and CEO of Art 2 M. Editorial manager of MCD. < Digital Art and Cultures. International panorama. Centre des Arts d'Enghien, 2012. < Arts numériques. Tendances, artistes, lieux & festivals. MCD Paris 2008. > Camouflage town (2001) [Paul]. > Reconstitution de la bataille des Pyramides (2000 c.). > Globe Theater (1997-1998). [Popper 2] p. 382-388. Wray Stefan. Member of Electronic Disturbance Theater. > Solomon R. Guggenheim Museum, New-York (1959. Several pictures in Terracol with pictures and geometric explanations for its use of a spiral*cone combination. > Tantalum Memorial -Residue (2009), with Graham Harwood et Matsuko Yokokoji. Installation with computer garbage. [Moulon] p.94_95. - The Sims (2000). Wikipedia. Comments in [Rose], from a transmedia standpoint. > LED miniskirt (2017). See our post. Wyvill Brian. University of Calgary. < Stylistic Rendering of Implicit Models. PDF. Text. Computational Aesthetics Conference, 2005.